WELCOME TO THE WEBSITE OF ELENA DUNKLE! ELENA VANISHING is my memoir, the story of my life and almost-death with adolescent anorexia nervosa. ELENA VANISHING IS NOW AVAILABLE! Click here to order my memoir in hardcover. Click here to order it in Kindle format. Click here to order the Audible audio edition. "Each life has value. And to believe in that means I must believe in the value of my own tiny life. And so, I do. Maybe one day I will give back all that I have been given." Anorexia nervosa once ruled my life. Even now, I have to work every single day on my recovery. Because I am an anorexia survivor and because I have lost good friends to this deadly illness, I am passionate about reaching out and speaking with others about it. The more we all share what we know about anorexia nervosa, the more help there will be for its next victim. The handwritten sentences you see (in quotation marks and gray box on the mobile page) come from my diaries, copyright 2005-2011 by Elena Dunkle. 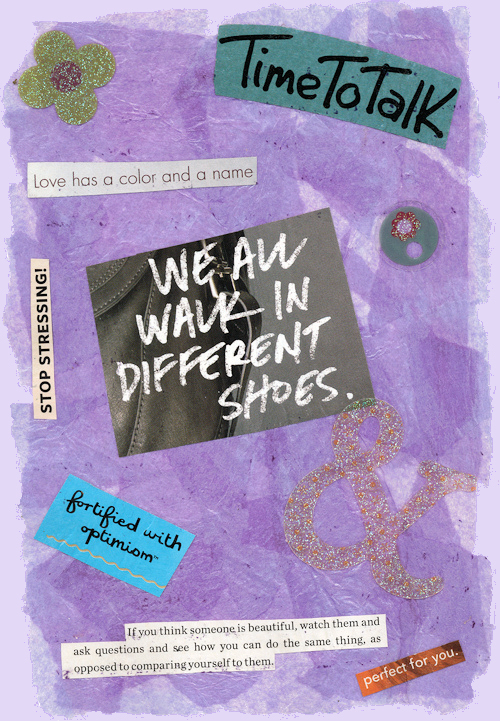 The collage is therapy art I did while I was in the eating disorder treatment center, copyright 2009 by Elena Dunkle. The text is copyright 2014 by Elena Dunkle and Clare B. Dunkle. You may make one print copy of this webpage for private or educational use. You may use short excerpts from this webpage, provided you attribute the quote to Elena and Clare B. Dunkle. You may use the graphic elements in both print and virtual media to promote the authors' books or events. All other copying or use of this website material, either graphics or text, is forbidden without the express written consent of the authors.